We have carried out carpet cleaning Romford, Essex for a client who had had builders in. They didn’t care to cover the carpet during the works and in result of that, our client ended up having black patches on their stairs carpet. We used a micro-splitting cleaning agent to achieve the desired results. 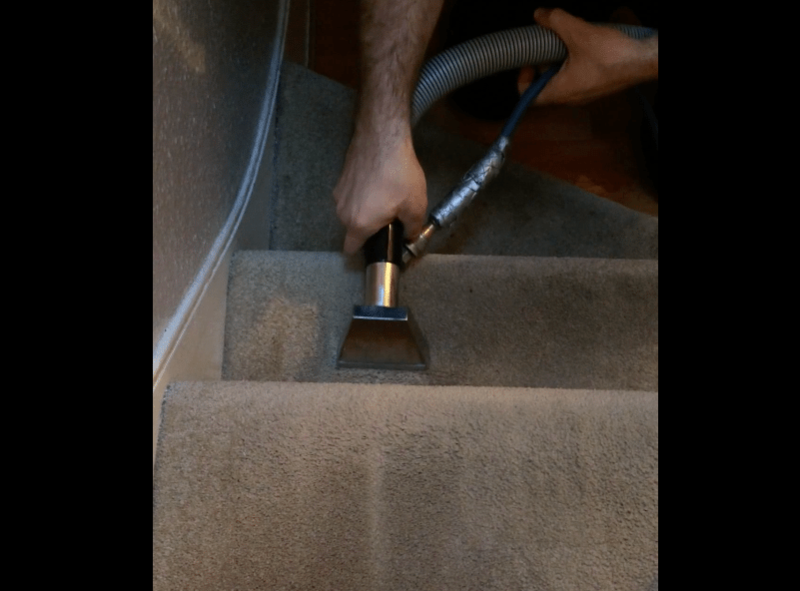 The short video below features Cleaning Bros cleaning carpet in Romford, Essex using the hot water extraction cleaning method. The Hot Water Extraction method is vastly recognised by carpet manufacturers as the best and most thorough way available for cleaning carpets and upholstery. If you need your carpets cleaned in Romford or surrounding areas by an experienced, knowledgeable and trustworthy carpet cleaner, then give us a call on 01708 701 973 or contact us here!